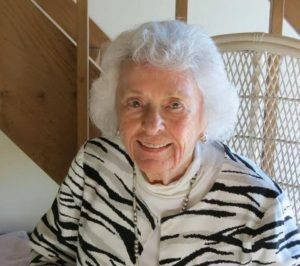 In her seven decades of volunteer service, Shawsie Branton (1920-2016) was hailed as a catalyst who changed the landscape – and the people – of Kansas City for the better. Children’s Therapeutic Learning Center) three years later, long before the concept of “special needs” entered our consciousness as a society. On September 29, 1953, a full year before the Supreme Court’s historic ruling in Brown v. Board of Education of Topeka, Shawsie and the nursery school’s board voted to integrate the school, giving disabled students of color new opportunities to succeed. In the 1970s, while serving on the board of Planned Parenthood, she was a fearless advocate for birth control, and in 1993, at the age of 73, she became the first woman to lead the board of the Greater Kansas City YMCA. Shawsie was involved with more than 60 organizations in the Kansas City area and served on more than 30 boards of directors for groups as diverse as Children’s Mercy Hospital, the Harry S. Truman Library Institute, the Camping Connection and the Missouri Repertory Theatre. Whatever her role, she fought tirelessly and compassionately for her belief that every person, regardless of circumstance, deserves a chance to succeed. Watch The Shawsie Branton Story for more information about this amazing woman.